Join August Aquila and Rick Telberg for a one hour CPE program and then open question and answer session as they discuss what it takes to engage your partners in the future of your firm. No one would ever question that a firm’s success is ultimately tied to its partners’ performance. And yet, increasing partner performance and getting the partners to work together is one of the key issues facing the majority of firms today. Partners are the culture in a professional services firm – what they believe, what they reward, what they do and how they do it determines what and how things get done. And, if they don’t believe in what the firm is doing, they will never be effective role models who think firm first and actively bring the whole of the firm’s services to their clients. This is what it takes to start the process of engaging partners and improving performance. It’s not a one-time event, but a continual process. This is what successful firms do. Do you want your firm to be counted among them? August Aquila is one of the profession’s key thought leaders. He works with professional service firms both large and small, in the US and abroad. As a former partner in a Top100 US accounting firm and a senior executive with American Express Tax & Business Services, Inc., August brings a wealth of hands-on experience to the table. In 2004, 2007, 2009 to 2015 he was selected as one of the “Top 100 Most Influential People in The Accounting Profession” by Accounting Today. In 2003 August was inducted into the Accounting Marketing Association Hall of Fame. He won the 1994 Lawler Award for the best Journal of Accountancy article (“How to Lose Clients without Really Trying”). For twenty-seven years August has advised professional services firms covering succession planning, mergers and acquisitions, compensation plan designs and partnership issues. He has written several books on managing professional services firms as well. Most recently: Engaging Partners in the Firm’s Future, What Successful Managing Partners Do, Performance Is Everything – The Why, What and How of Designing Compensation Plans (AICPA), Client at the Core: Marketing and Managing Today’s Professional Services Firm (John Wiley & Sons) and Compensation as a Strategic Asset: The New Paradigm (AICPA). He is a frequent speaker at legal and accounting conferences. Rick Telberg is a veteran analyst, advisor, commentator, editor and publisher. He brings a unique background and perspective to research and advisory services for the professional services community. Mr. Telberg may well be the accounting profession's most widely-known commentator through his long associations with the American Institute of Certified Public Accountants, Accounting Today magazine, and today, CPA Trendlines. 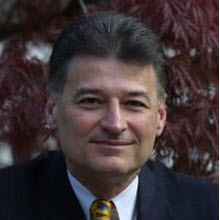 As an expert in management, marketing, media and e-commerce, Mr. Telberg has served as Senior Editorial Director of Pro2Net Corp., now www.smartpros.com, and as Director of Online Content at CPA2Biz, www.cpa2biz.com. Previously, Mr. Telberg served as the early Editor-in-Chief of Accounting Today, and as Vice President/Group Publisher at Thomson Financial (now SourceMedia), overseeing Practical Accountant, Accounting Technology, and what is now www.AccountingToday.com. Mr. Telberg was presented with a special citation by the National Society of Accountants for service to the profession and has served on a variety of boards and steering committees, including BKR International and the IBM Small Business Advisory Council. He is a graduate of New York University. Whether you want to start a new practice or expand your current practice, Bank of America can help. We have the financing, business solutions and industry experience to help you reach your goals. We have provided financing opportunities to the health care profession for over 18 years. We lend to dentist, doctors, veterinarians, CPA’s, Attorneys and Insurance Agencies. Our loan products include acquisitions, expansion, debt consolidation, equipment; real estate and partner buy in loans.